If you're dreaming about striking it rich in the burgeoning legal marijuana industry, it'll help to have an advanced science degree - But for an industry predicted to employ as many as 300,000 people by 2020, according to analytics firm New Frontier Data, the majority of jobs in the field will pay relatively low wages and require little skill. 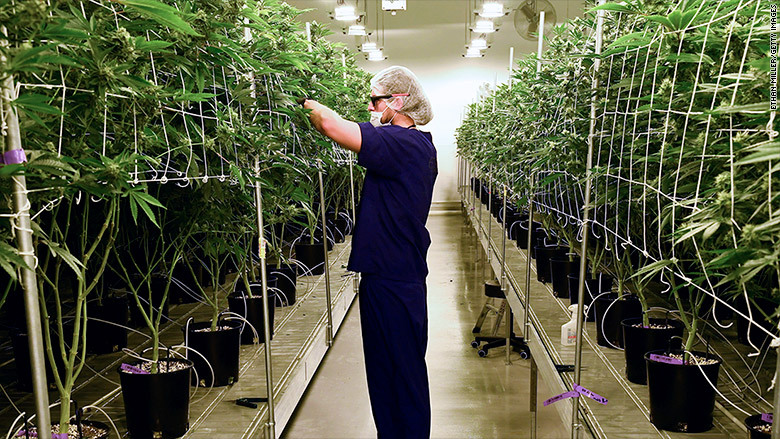 Jobs like budtender and bud trimmer, entry level positions, will make up the vast majority. "It takes all of 10 minutes to train someone to do it properly and it takes an hour to get proficient," he said. Budtenders, who sell marijuana to customers at dispensaries, typically make about $14 an hour. The job requires an in-depth knowledge of cannabis strains and products and a bartender-like rapport with customers. In Colorado and also Michigan, where medical marijuana is legal, budtenders are required to have licenses. To be sure, there are a handful of jobs that will pay well. But they require science and engineering knowledge. The greatest demand, according to James Yagielo, co-founder and owner of the Florida-based headhunter Hemp Staff, is for master extractors. They process the active components THC and CBD from marijuana and hemp to make oils, concentrates, edibles and other products.